Personalised and Engraved Optical Crystal Miniature Book measuring 6cm. 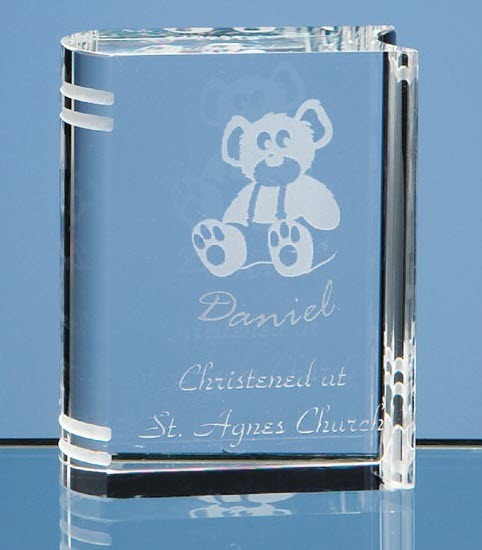 Ideal gift for Births, Christenings, Graduations, can be personalised with names, weights, dates, Universities etc and comes supplied in a presentation box. Please note: Our Teddy Bear image is different to the one shown in the illustrated image.